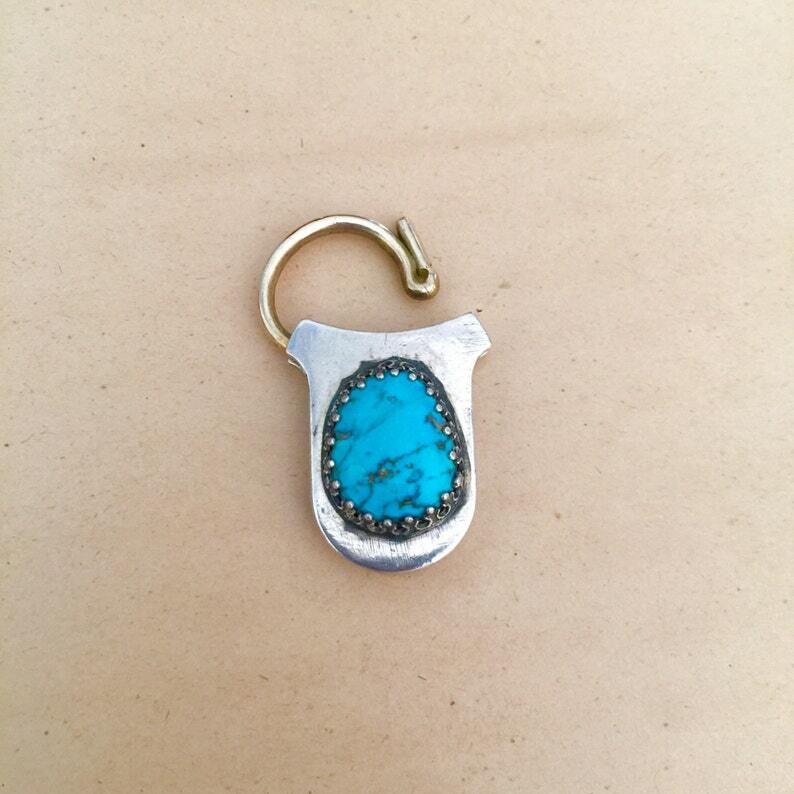 One of a kind sterling silver padlock with bronze clasp and bezel set turquoise cabochon. Bezel setting is sterling silver. 1 1/2" long by 15/16" wide. Use my padlocks as a clasp or a pendant for necklaces or bracelets. I've shown in used as a bracelet clasp on a Victorian bracelet.